What makes our tuna pockets taste so good? It&apos;s the fusion of real ingredients. So you get to enjoy the taste of the islands with our combination of Tuna, coconut milk, red capsicum and citrus. All gently slow cooked to lock in the flavour. I love tuna and could eat it every day given half the chance. I find tins of tuna so quick and easy, the perfect go to lunch when I&apos;m in a hurry as there&apos;s always so much you can do with it. 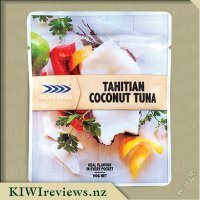 Coconut is another favourite ingredient of mine so when I saw the Sealord Tahitian coconut tuna up for review I was very excited and very keen to give it a try. The mix of flavours sounded just perfect for me and my taste buds. I decided as I was making rice salad for dinner I would make a second smaller rice and tuna salad for my lunch the next day at the same time. Precooking the rice all ready to go I ripped open the packet, which I&apos;m pleased to say unlike many other packets the same it ripped apart cleanly. I then tipped the packet up expecting quiet a saucy tuna to come out. Instead I surprised to find it wasn&apos;t very saucy at all and I needed to use a fork to pull the tuna out of the pouch. It was a nice surprise though because it meant that the packet was all tuna, not all sauce like some tins can be. Before mixing the tuna into the rice I decided to taste it alone, It was delicious while I just got a slight hint of the coconut, the tuna, citrus and herbs came shining through.The balance of flavour was just perfect, the hint of the coconut is just enough for you to know its there but not overpower the other flavours. Mixing it into the rice made the perfect tuna and rice salad, it is a flavour I will be buying again for sure. Coconut seems to be the ingredient of the day for a lot of meals. 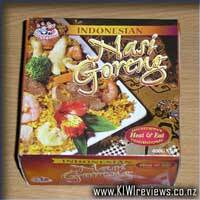 It indicates the idea of lots of flavour and an element of healthiness to the product. It really helps that I LOVE coconut and anything that tastes like coconut. I have had the Tahitian Coconut Tuna pocket sitting in my pantry for a number of days waiting for the perfect opportunity to use it. The idea that kept bouncing around in my mind was rice paper rolls. Finally, I was home for lunch yesterday and had the chance to make up the rolls. I set myself up with a teaspoon in the tuna pouch (I had to have it lying down as it wouldn&apos;t support the weight of the spoon), some alfalfa sprouts, sliced up cucumber and carrot. I also had the dish with warm water and rice papers set to go. It was much quicker to put these rolls together than previous versions I have made because the tuna was ready to go. Usually I make them with chicken, which of course requires cooking and therefore extra time. Miss four and I had a really tasty lunch with the tuna rolls. I tasted the tuna by itself and I found that it was very nice too. Years ago, I was on a weight loss regime and I found that I was eating a lot of tuna to add protein to my snacks. 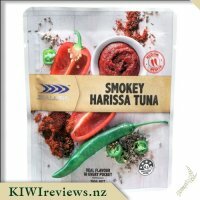 I found that a lot of the flavoured tuna was too rich and I was turned off the flavoured versions. The Tahitian Coconut Tuna was tasty but not overly rich in my options. This made it quite palatable. 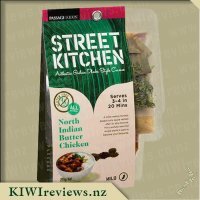 Although I did enjoy it by itself, I would consider it preferable to add it to other food (crackers, pasta, rice paper rolls etc). Before I opened the pack, I was expecting a coconut cream type sauce on the tuna. 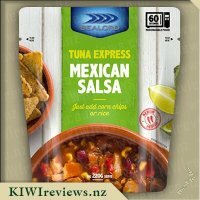 I found that the actual flavour of the tuna didn&apos;t taste too much like coconut. I think it was more the herbs/spices which came through more in the flavour. It was nice, just different to what I was expecting. Looking at the range of these Sealord pockets, the Tahitian Coconut Tuna one has the lowest amount of fat in the range (4g per 100g). 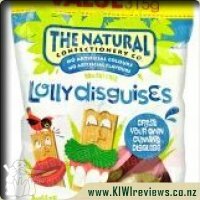 This is worth looking at when choosing the flavour that you wish to try. 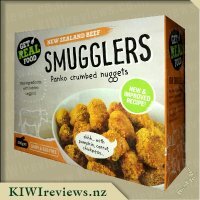 I found that there was plenty of flavour in the product and I am please to say that it wasn&apos;t all oily. It had the right level of dryness. 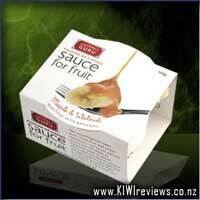 I found that the pouch was very handy and easy to open and use. 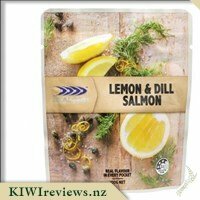 It would be a nice easy product to keep in a work bag for a quick and easy lunch. It was perfect for my rice paper rolls and I would consider having some in the pantry for this purpose in the future. 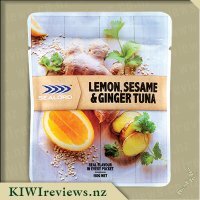 When I saw the new tuna pockets, this was the one that jumped out at me to try out, based purely on the flavour description. I decided that it would be an easy and relatively healthy lunch food and so I cooked up some rice the night before and took this to work with the tuna packet. Come lunch time, the plan was to add the packet to the rice and cook it up until it was piping hot (mainly to ensure safe reheating of the rice). I was able to open the packet easily which I was glad about, and tipped it into the rice. I noticed that the tuna didn&apos;t tip out all that well and I had to try and swish the fork around to get the remains as I wasn&apos;t keen to waste any! It&apos;s certainly easier to get tuna out of a tin ... with the added bonus that the cat can lick it out when I&apos;ve finished! I was expecting quite a saucy mixture like the tuna meals, so was surprised when it was all tuna. This wasn&apos;t really an issue but I did notice that it didn&apos;t mix through the rice as well as I thought it might ... next time I&apos;d probably just pop it onto a piece of toast instead. I loved that it was really moist and juicy though - definitely no complaints there. As far as taste goes, it was definitely delicious and I picked out a beautiful lemon taste, but not so much the coconut. I could see the bits in it, capsicum and herbs and so on, which gave it a bit of a high class feel. For those wondering if this is spicy-hot, it&apos;s not at all, which I liked. I noticed that the packets hold 110g which is slightly more than the tins I buy, but these have a higher price so it&apos;s all relative. To be honest, I&apos;m probably more likely to buy some of my other favourite flavours that come in the tins (due to the lower price and ease of use), but I&apos;d buy this again purely for the flavour as there are no complaints there. 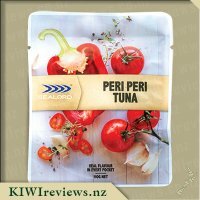 Tuna is my go-to fish... in fact, now that I have utterly lost the taste for &apos;fush &apos;n&apos; chups&apos; it&apos;s actually the only seafood I will eat. Having tried fresh, smoked tuna as a child and fallen in love with the taste and texture, there&apos;s little that will ever get me to change. Now... this isn&apos;t freshly-caught smoked tuna, but it&apos;s a mighty fine &apos;commercial product&apos; and I love how Sealord have come up with a range of flavours. As I am on a bit of a &apos;better diet&apos; kick at the moment, I thought I would try this in sushi, however I found myself coming up short when it came to proper sushi rice... so, being the food experimenter that I am, I improvised - 2min microwave rice to the rescue! 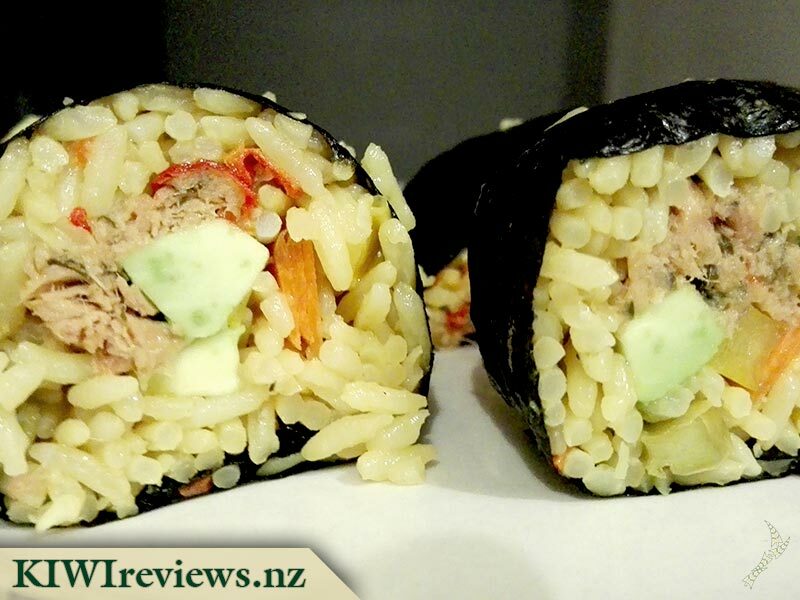 Add a bit of mayo to replace the "sticky" bit of sushi rice, and I was away. This tuna worked perfectly, adding much-needed flavour to the sushi, which I actively designed to be quite bland (to me at least) to see what flavours would shine through. 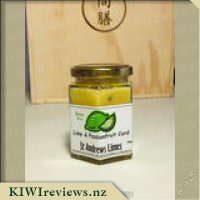 I caught the hints of coconut - which is a really odd flavour in sushi, I tell you - and the hints of citrus in the undertones, but it was the capsicum and tuna flavours that really shone through, both of which I find very pleasant to eat. Overall, I am hooked! 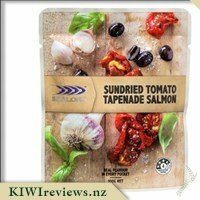 I did think that there wasn&apos;t as much in the pouch as the price would indicate, compared to the canned lines from Sealord, but you pay for premium with anything and this IS a premium flavour. 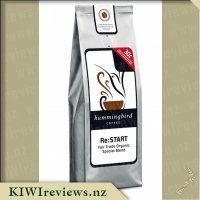 The pouch was easy to open, and more importantly it tore consistently meaning no awkward flap hanging off to get in the way as you try to decant the contents. 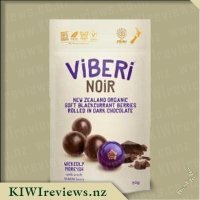 The "store in the fridge - eat within 3 days" was a little redundant I think... because one taste and you&apos;ll find a way to empty the pouch in one sitting. I know I did. 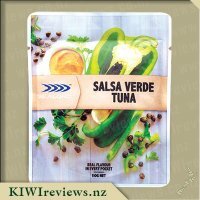 The sound of the Tahitian Coconut Tuna immediately captured me when I saw it up for review. It had the magic word (coconut) in the ingredients list. I don&apos;t eat a great deal of tuna, but I do occasionally get a tin of fish to have with rice for quick work lunches. These packs appealed mainly because they are a flat style pack. Although the tins often stack nicely, a pack like this could easily slip into my purse without damaging the contents of said purse. It could slip into a draw either flat or upright too. This is handy because half of my drawers are file-style. Useless for storage usually, and I don&apos;t file directly into my desk either. I took this pack to work with me and had it in a bowl with some rice. When I opened the packet, it was a bit difficult to get it to open the whole way across. I also had some difficulty getting all of the tuna out of the packet. In some ways a tin is a bit easier. Once my rice was cooked I stirred the tuna mix through it and then had lunch. It took me about 2 minutes to prepare which was excellent. It meant I could go out and look around the shops for a bit afterwards. The flavour of the tuna is probably the most important thing. I thought it had a good flavour. For some reason I had expected some heat and spice, but there wasn&apos;t really any. The coconut taste was present, as was the citrus. I could see the capsicum in the mixture as well as the coconut milk. It was a really nice and flavourful tuna combination and I would be very tempted to get more. If I change out the rice for noodles I could get a lunch for under $4 as well. Very cost effective, while still being high quality. Authentic food styles grow progressively from the spaces where people gather and share: on the streets, at markets and in community. The subtle variation on a particular dish celebrates the creativity and individuality of those who love to cook with passion. We see this everywhere.